My name is Mason Andrews. 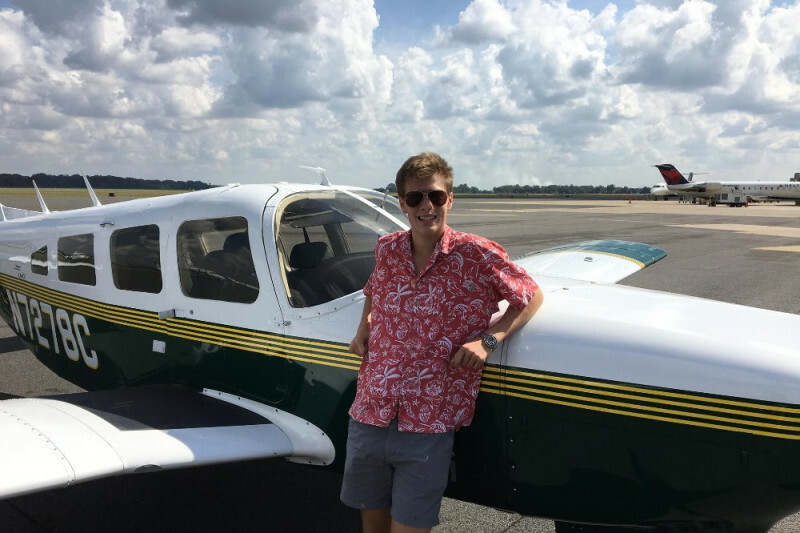 I’m a 18 year old Louisiana Tech Professional Aviation Student. On July 14th, 2018, I’m going to attempt the world record for the youngest solo pilot to complete an Around the World crossing by air. I need to raise $125,000 for the special equipment that will allow me to make the crossing, including: a long-range fuel bladder and installation, avionics, emergency equipment, and much much more. All additional proceeds over flight expenses are going to MedCamps of Louisiana! If your business would like to sponsor me, please reach out by email. Any and every contribution is appreciated! Receives Aircraft Naming rights e.g. The Goodyear Spirit of Louisiane Large Logo Placement on Aircraft and Flight Suit Prominent Mention in ALL media events.